The Pike quilt is designed from four large traditional jackknife blocks. A secondary pattern is created by background fabrics with high contrast. 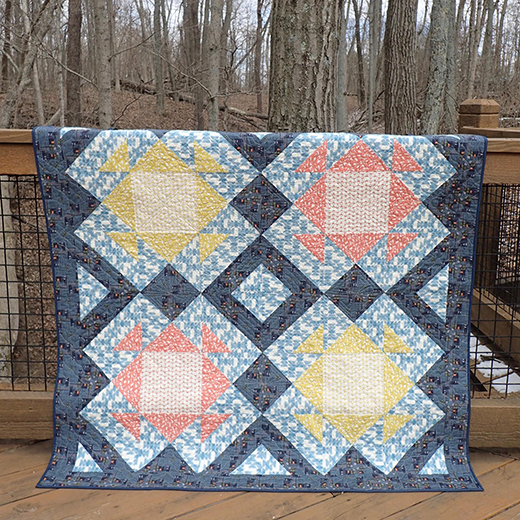 This Pike Quilt designed by StortsMarket, The Pattern is available for free.